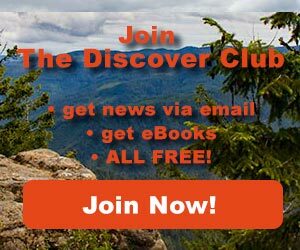 Outdoor News June 8, 2018 - Explore! 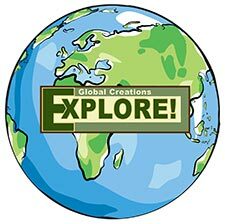 Outdoor News June 8, 2018 - Explore! Free Use Day at Coronodo National Forest in Arizona. 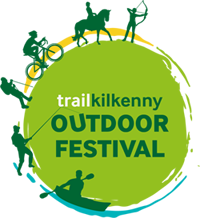 If you happen to be in Kilkenny County, Ireland between July 2 and July 16, you might want to participate in the Trail Kilkenny Outdoor Festival. The festival is designed to spur you to get your friends and family together and get outdoors! This year’s Festival features two weeks of bustling adventures and action-packed activities. Get active and explore the stunning and world renowned Kilkenny countryside, and its rivers, hills, treks and trails, with the help of some of Kilkenny’s most experienced outdoor activity providers. Why not try an activity you have never tried before? Be adventurous, but most importantly, enjoy it! 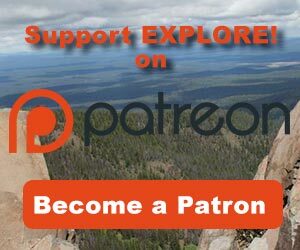 So connect with like-minded adventurers and be inspired! There is something for everyone! On Wednesday morning, 59-year-old Kim Hancock of Santa Rosa, California, was gored by a bull bison at Fountain Paint Pot in the Lower Geyser Basin at Yellowstone National Park. Hancock and a crowd of people approached within ten yards of the bison while walking along a boardwalk. At one point, people were closer than 15 feet from the bison. When it crossed the boardwalk, the bison became agitated and charged the crowd, goring Hancock. The bison immediately left the area. Rangers responded to the incident and treated Hancock for a hip injury: she was transported by paramedic ambulance to the Big Sky Medical Center in Big Sky, Montana, in good condition. This is the second incident of a bison injuring a visitor in 2018. There was one incident in 2017 and five in 2015. In a little over a month, four people have been injured by wildlife in Yellowstone, including two different women injured by a female elk near Mammoth Hot Springs Hotel earlier this week. Wild animals in Yellowstone and elsewhere are wild and unpredictable, no matter how calm they appear to be. Give animals space when they’re near trails, boardwalks, parking lots, or in developed areas. Always stay at least 100 yards (91 m) away from bears and wolves, and at least 25 yards (23 m) away from all other animals, including bison and elk. If you can’t maintain these distances, turn around and find an alternate route. At Wednesday's Western Colorado Economic Summit, bicycle rack systems and security specialist, RockyMounts, Inc. announced plans to relocate the company’s headquarters to Riverfront at Las Colonias Park, a new business and recreational development on the banks of the Colorado River in Grand Junction, Colorado. The relocation of RockyMounts to the Grand Junction business community represents a move that further bolsters the area as a destination for the outdoor industry, which already includes companies such as Bonsai Design, DT Swiss, MRP and many others. 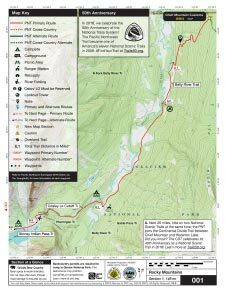 The 2018 edition of the Pacific Northwest Trail Association (PNTA) mapset is now available. If you're planning a trip on the Pacific Northwest Trail this year, you will need these maps. This update includes a large volume of new data and represents the most accurate and definitive maps of the Pacific Northwest Trail ever created. For a limited time, you can take advantage of a bulk print run by becoming a PNTA Member. PNTA fulfills orders of these high-quality, printed mapsets at the cost of production as a way of saying "thanks" for supporting their work. Members and non-members alike can download the 2018 mapset for free at pnt.org. Pre-ordering for the printed maps ends Sunday! Treat Dad to an Epic Gift from Sierra Trading Post and Save on Father's Day Favorites. June 11 – 17: Bargain Bin is Chock Full of Fabulous Cycling Components, Accessories, and Clothing Up to 90% Off! Up To 70% Off Shimano Shoes & Components. Select Cycling Clothing Up To 70% off. Cycling Sunglasses and Helmets Up To 70% Off. Moving Sale – Up To 87% Off Cycling Products all at BikeNashbar.com. Liz Clark went sailing . . . "My voyage was born out of passion to surf the world and find a way to live lighter on the planet. And this film was created thanks to collaboration and support from loving friends and companies. I hope it inspires you to hear the callings of your heart." –Captain Lizzy Enjoy!